Untethers you from the desktop computer when bidding and selling items. Listing items is easier on the desktop site. 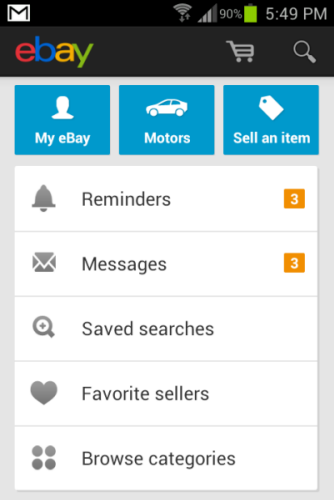 Whether you buy or you sell on eBay, the Official eBay app is a must. When selling on eBay you need to be within reach for questions, updates and responding to complaints. Buyers can be very impatient on eBay. If you’re out, waiting until you’re home to respond to messages can make people think, perhaps unfairly, you are ignoring them. With the app you’ll be able to provide excellent customer service and maintain your excellent eBay standing. 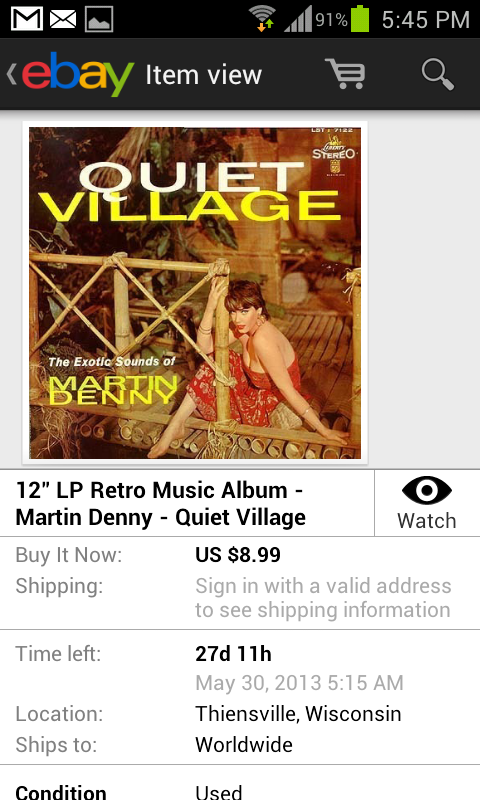 For buyers, you can watch items and place bids from anywhere, which doesn’t help to curb your eBay bidding addiction! In addition to the bidding features, you can pay for items, track shipments and leave feedback for sellers while you’re out getting your car’s oil changed. The notifications and reminders for both buyers and sellers are great. Get alerts on items ending, newly listed items, new messages, items waiting feedback and more. Has built-in barcode scanner for searching items and price comparison.